(Bloomberg) -- Outgoing President Joseph Kabila could remain the power behind the throne in the Democratic Republic of Congo after the highest court rules on a challenge to last month’s presidential-election result. Martin Fayulu, the runner-up in the Dec. 30 poll, has petitioned the Constitutional Court to order a recount of the votes, saying official results proclaiming rival opposition candidate Felix Tshisekedi the winner were rigged. Fayulu’s claims that the results were inaccurate are supported by the country’s influential Catholic bishops, who’ve said the electoral commission’s tally doesn’t reflect the findings of its nationwide observer mission. Unless Fayulu secures his preferred decision, it could be Kabila, who’s ruled the cobalt- and copper-rich nation for almost 18 years, who benefits from either of the other options available to the court, according to analysts including Claude Kabemba, director of the Johannesburg-based Southern Africa Resource Watch. If the vote is annulled, he’ll remain in office until a new election is organized; should the court validate the result, the incoming president has already signaled his willingness to work with his predecessor. Kabila was barred by the constitution from seeking a third term. He nominated Emmanuel Ramazani Shadary, a loyalist former interior minister, to run for the presidency for the ruling Common Front for Congo coalition known as the FCC. The result announced last week by the electoral commission confounded expectations that Shadary, whose campaign had far superior financial and logistical resources, would win. Fayulu comfortably topped an opinion poll in late December, but came second with 35 percent, behind Tshisekedi with 39 percent. Shadary finished a distant third with 24 percent. Fayulu accuses Tshisekedi of having struck a secret agreement with Kabila to obtain the presidency -- a charge the president-elect’s camp strongly denies. The Presidential Majority, the biggest grouping in the FCC, is prepared to “start all negotiations necessary” with the president-elect -- under Kabila’s leadership -- to collaborate together to establish an effective government, spokesman Andre Alain Atundu said Jan. 12. If the court approves the official results, Tshisekedi will have an opportunity to wield tremendous influence in Congo. 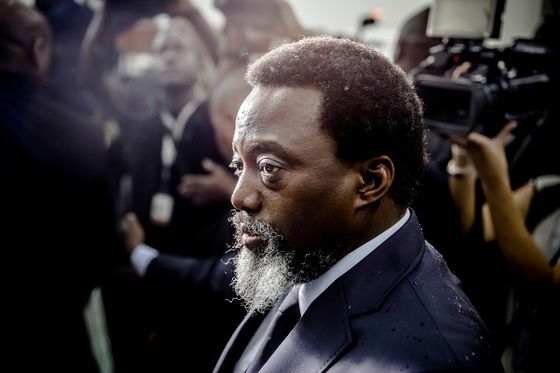 But while he’ll have a mandate to appoint senior judges, security officials and state company bosses, he’ll be confronted by the informal patronage networks that “riddled” Kabila’s administration, said Jason Stearns, director of the Congo Research Group at New York University. Tshisekedi’s capacity to act independently will also be constrained by the National Assembly, where Kabila’s ruling coalition won a crushing majority in the concurrent parliamentary vote. Tshisekedi is obliged to select his prime minister from the FCC’s ranks, while Kabila will look to retain other key portfolios, according to Kabemba. Fayulu has said he wants a recount for all three elections -- presidential, national and provincial parliament -- and told supporters that results collected by his coalition’s own compilation center show he won 61 percent of the vote. Fayulu has been backed by regional leaders, with the 16-member Southern African Development Community calling for a recount, according to a statement emailed by Zambian President Edgar Lungu’s office. SADC member countries South Africa and Zambia both sought to soften that language by issuing separate statements on Monday saying any decision about a recount should be left to the authorities in Congo. The Constitutional Court began considering the challenge on Monday and is expected to announce its ruling by the end of the week. It’s unlikely the court will decide to accept Fayulu’s request, said Stearns.